Here’s how to set up Nokia N9 (running Meego 1.x Harmattan software) to jump the Great Firewall of China with Shadowsocks, a better alternative to VPN. 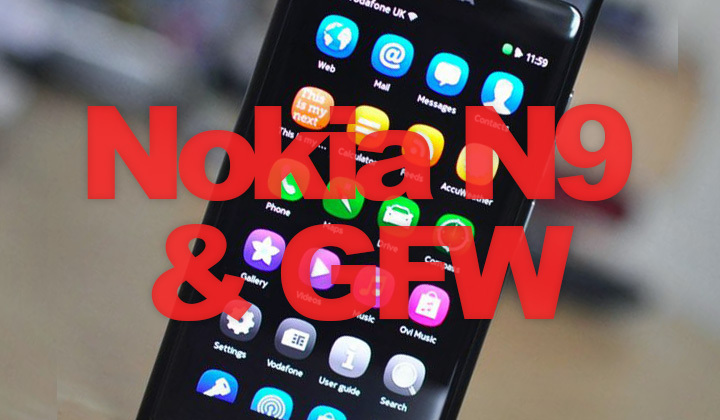 First and foremost this is a step-by-step guide on how to setup a Nokia N9 mobile phone (that uses the Harmattan or Meego operating system) to jump the great firewall of China. The method used in this howto is Shadowsocks proxy. This creates several advantages over the traditional VPN method. Plus I’ve made a neat little icon for easy use. Shadowsocks is a socks5 proxy that is designed to pass firewalls. While the Chinese government has found ways to crack down on VPN use, such as port blocking, this socks method has reportedly so far remained untouched. In my experience the use of a VPN on a mobile phone while you are on the go is less withstanding to network outages and reconnection times could be long or at worst, manual. The performance of a proxy however is hardly affected on mobile use, it can often be easier to set up and even less power consuming according to my observations. Furthermore this guide is well suited for anyone wanting to use such a proxy for any reason. As well as for other countries than China that block Facebook, YouTube, Twitter, etc. Also those with other types of cell phones such as Android phone or an iPod have the possibility of setting up a similar method. First grab the latest shadowsocks bundle from Github. Then unzip the package and edit ports, password and your server IP in “config.json“. If the server has a dynamic IP, use a DNS provider. Changing ports are an optional paranoia measure since China has a tendency to block default ports. But as far as I know these are not being blocked at the moment. After that all we need is to put those files into place. Plug-in the device and select “Use as mass storage“. Drag and drop these files into the Documents folder of your device (the root folder wont work!). Now that the files are in your phone, eject your device and plug it in again. Select “SDK mode” and open the “SDK Connect” app where you choose the “USB” option. On your computer, go to the terminal and connect with “ssh developer@[IP]“. Use the IP & password provided in the app. A shortcut icon with an American flag should appear on your desktop, named: “BreakWall“. Pressing it will start up the proxy in the background. Please note that it takes a little while for it to start working. To use the proxy you will need to go to Settings -> Internet Connection -> Edit networks -> [select your network] -> Advanced settings. There you can fill in the SOCKS proxy and port number without a password. In the DNS section you may add for instance the Google DNS 8.8.8.8 & 8.8.4.4 (it wont work without a name server outside of the great firewall). Once the proxy is in use, the icon should display a hammer and sickle “FixWall” which will shut down the proxy process if pressed. You will also need to turn off the socks proxy setting for your connection to have things in previous order. Couple tips more. If you only need to use the proxy for YouTube, “cuteTube” has it’s own proxy setting. Also if you want to create your own icons get the template file from here and please share them in the comment box below! Comments are still more than welcome! Doesn’t it say “Documents folder”? Thanks for the writeup. But in the Advanced Settings I can’t change the “socks4://” proxy into “socks5://”. Does N9 really support socks v5 proxy? As far as I can remember, it does. Unfortunately I no longer possess a Nokia N9 phone, and this article remains here mostly for legacy and referential purposes. Hope it’s useful though.